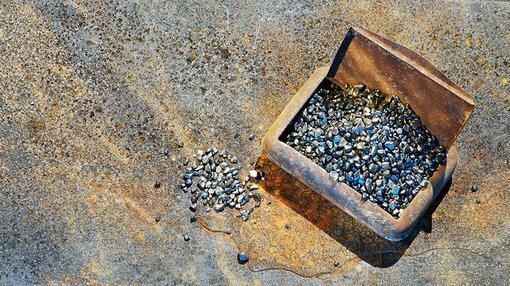 Mustang Resources (ASX:MUS) has released highly promising results of up to 24.2% total graphitic carbon (TGC) and 1.02% vanadium from its latest diamond drilling program at the Caula project in Mozambique. The findings came from drill work undertaken at MODD014 in 2017, which is in close proximity to the previous five holes drilled at the site in 2016 (as seen below). A total of 65 samples returned yields above 15% TGC, including 19.03% TGC from 86m to 104m (downhole depth) and 17.28% TGC from 44m to 55m. MUS also noted that much of the graphite mineralisation is shallow with high grades close to the surface, such as 19% TGC at 17m. These results have established Caula within the top quartile high-grade large flake graphite deposits globally. 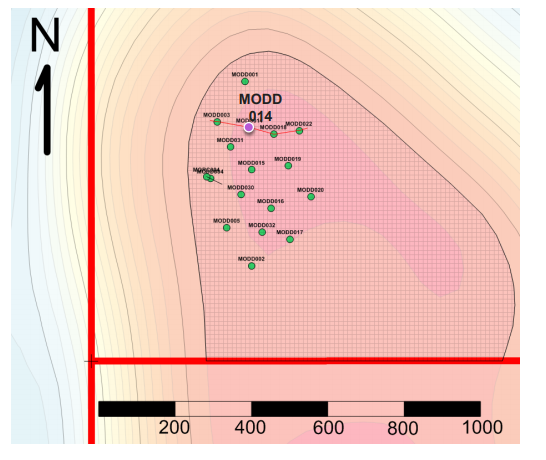 Based on sampling completed on the diamond drilling samples in 2017, MODD014 returned an average vanadium grade of 0.42% within a 125m mineralised zone (downhole width from 17m to 143m). MUS Managing Director Dr Bernard Oliver believes the latest results will also strengthen Caula’s impending resource upgrade. “Caula goes from strength to strength, as these new results show,” he said. “We have very high graphite grades, substantial widths and a very significant proportion of large and jumbo flake sizes. “We look forward to updating the graphite Resource and including a maiden Resource estimate for the vanadium. This will in turn form part of the Concept Study now underway at Caula,” he concluded. The Caula project is located within a world-class graphite province and holds the potential to expand the maiden JORC Inferred Mineral Resource estimate of 5.4 million tonnes at 13% TGC via continued drilling. The region is situated at the northern end of a suite of large-scale geophysical (TEM) anomalies that extend over an 18km strike length within Mustang’s tenements. Work to date at Caula confirms a strong spatial correlation between the TEM anomaly and high-grade graphite and vanadium mineralisation in drillhole intersections. Generous zones of mineralisation have been identified via the original sampling program, with lithological logging indicating additional mineralisation to the east of the project. MUS expects the returns of the completed diamond drilling campaign to expand the JORC resource and strengthen confidence in the defined mineralisation. The company plans to expedite the project development through a two-stage developmental strategy which will deliver a marketable graphite and vanadium product in H1 2019 in stage one. It will also incorporate the average vanadium assay results into a revised graphite and vanadium development strategy update.